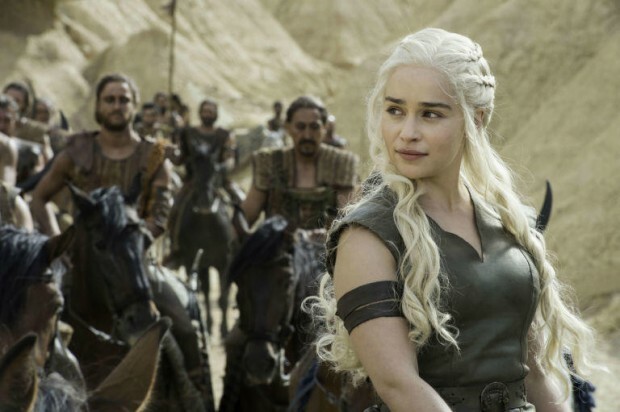 Why isn’t there a science fiction Game of Thrones? For decades science fiction ruled the big screen – well, the genre corner of the big screen at least – while fantasy barely rated a mention. Okay, yes, movies like Star Wars were closer to fantasy than they were to actual science fiction (seriously, nothing going on in Star Wars has a scientific explanation), but fantasy fiction in book form was huge since the explosion in popularity of The Lord of the Rings in the late 60s and early 70s; while science fiction maintained a stranglehold on the big screen, fantasy was taking off everywhere else. Dungeons & Dragons was huge, Lord of the Rings knock offs were huge sellers, and yet when it came to putting fantasy up on the screen… sure there was Conan alongside a bunch of other largely forgotten fantasy epics (kids movies did better; Labyrinth still has its fans, and who isn’t excited about that Dark Crystal reboot TV series that’s supposedly on the way? ), but the really big guns were still science fiction. Even on television, Star Trek ran in various forms for well over a decade, often with two series at once; Xena Warrior Princess was a pretty good show at times, but it wasn’t quite the same. But in the 21st century the roles have largely been reversed. Star Wars is still a going concern – Star Trek too, though it’s struggling – but pretty much all the excitement has been with fantasy. Harry Potter and the Lord of the Rings movies were massive hits that raked in enough cash to make fantasy the go-to genre when it comes to trying to create a franchise-spawning hit, and while most of those attempts haven’t yet worked – remember the Warcraft movie? The Chinese co-production The Great Wall? – the only attempt at a new big science fiction franchise lately was the French misfire Valerian, while reviving old ones (Blade Runner, Ghost in the Shell) haven’t made much of an impression. But it’s on the small screen where fantasy has been the outright winner, with Game of Thrones becoming the kind of cultural phenomenon that comes along once a decade or so. So why hasn’t science fiction stepped up? It’s not for lack of decent source material: Amazon and HBO between them have recently grabbed a bunch of the genres’ classics for possible development, including Iain M Bank’s “Culture” series and Isaac Asimov’s “Foundation” series. And HBO’s Westworld is obviously science fiction, if a more earthbound kind. The closest we’ve currently come is The Expanse, which started out as a space whodunnit in season one, expanded its horizons wildly with a string of surprise twists in season two, went even bigger in its third season and – now that it’s been picked up by Amazon for a fourth season after briefly being cancelled by its original network – could finally become the big space opera series some of us (okay, me) have been looking for. Season two is out now on DVD and blu-ray, which is a great reason to get on board if you’re not already watching; if it continues to follow the source novels even slightly closely, there’s a lot more twists and turns yet to come.